UKIP are planning for their annual conference at the end of September… and so are we. They’ve decided to make our lives a little easier by bringing it to Doncaster. As Britain faces the threat of growing right-wing militancy, we’re committed to meeting that threat as well as providing a serious alternative agenda. Activists in Doncaster have called a “Stand Up To UKIP” march on 27th September, and we want to help them give UKIP a right Yorkshire welcome! 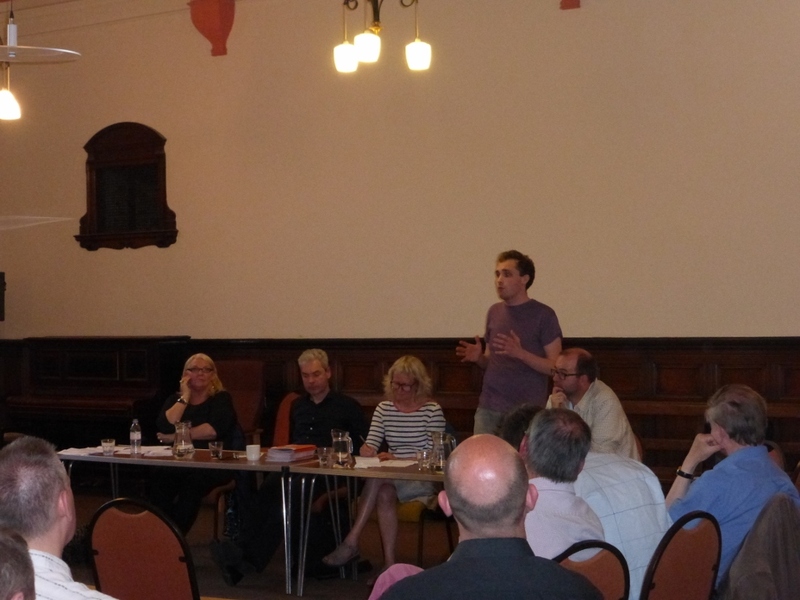 To get organised, there’ll be a quick meeting at 6.30pm on Monday right before the York People’s Assembly meeting. UKIP might be firing its candidates for expressing their extreme views in public, but check out what one of their current MEP’s has to say on the NHS. According to his website, Paul Nuttall MEP “would argue that the very existence of the NHS stifles competition”. You can see his full statement on what should happen to the NHS here. No wonder UKIP won’t advertise policies that affect anyone other than immigrants. Please use your vote against them on May 22nd! Members of local campaign group York Unity are looking for extra help spreading the message about the UKIP threat. They’ve got 8000 flyers to hand out, starting with an event in St Helen’s Square from 12 to 2pm on Saturday 10th May. Recently, thousands of UKIP’s own fliers were returned to their Freepost address by angry voters. But the party looks set to win the UK vote in this month’s European Elections. They stand a chance because many simply won’t show up to the polls to vote, resulting in Britain being represented by allies of tax dodgers and racists, rather than defenders of workplace rights and the environment. 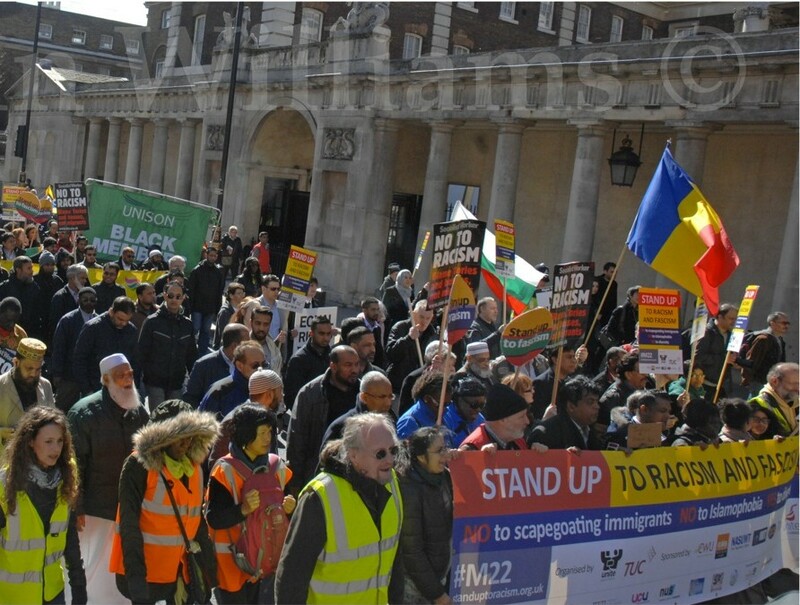 A gloriously sunny London day welcomed over ten thousand marchers from all over the country on March 22nd for Stand Up To Racism and Fascism – the march and rally organised by Unite Against Fascism. 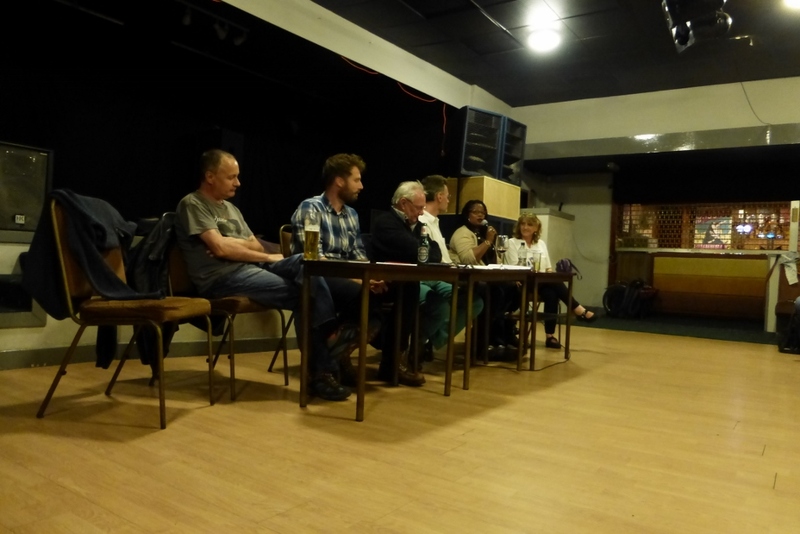 The event marked United Nations Anti Racism day, with parallel events in Glasgow and Cardiff, and throughout Europe.The challenge now is to build on this so that we can defeat the racist BNP and UKIP at the European elections. Join York UAF members at TSSA Offices on Nunnery Lane – 6pm on Tuesday 15th April to discuss how this can be achieved locally.